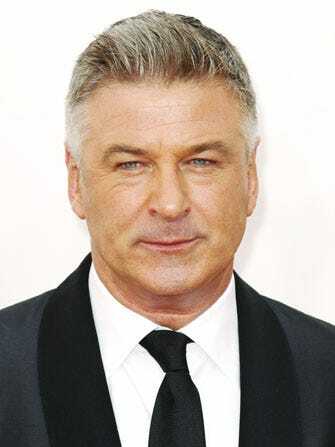 Alec Baldwin Says Good-Bye To All That — Should We Believe Him? In this week's New York magazine cover story, Alec Baldwin announced he's leaving public life — maybe even New York City? — because, in short, the media has turned against him. As evidence, he cites how the press handled his very public feuds with the paparazzi, his firing from MSNBC, his dispute with Shia LaBeouf, and TMZ. Just all of TMZ. It's a lot to scroll through, and as fans of the actor, it's a lot to justify. Not because of the content, but because it exists at all — there on the screen, like a novel of a note scribbled by a ninth-grade girl informing you she'll no longer be speaking to you. So, yes, the first response is, if you want to leave public life, you do so without a public declaration or fanfare or a cover story. Not only does it say, I'm serious and maybe a little mysterious, it gives the media nothing. And, for someone who says "I loathe and despise the media in a way I did not think possible," it also says I win. Though, it's not like Baldwin doesn't see how crazy this all is. "I’m aware that it’s ironic that I’m making this case in the media," he writes, "but this is the last time I’m going to talk about my personal life in an American publication ever again." Unless, of course, he quits the limelight like he quits Twitter, which is to say he doesn't. But, because it's hard to separate the actor from the man, diehard 30 Rock fans want to defend him. We tell ourselves that he's a good actor with a bad temper. The paparazzi, a species that makes a living off the market rate of their photos, probably do antagonize him. And, maybe it's refreshing that Baldwin refuses to play the game and just says what's on his mind? He might just want to set the record straight in a public and permanent way, so that every time anyone digs into his past, they'd be remiss not file to this personal defense into their Baldwin, A. dossier. But, therein lies the problem: He thinks such files exist.